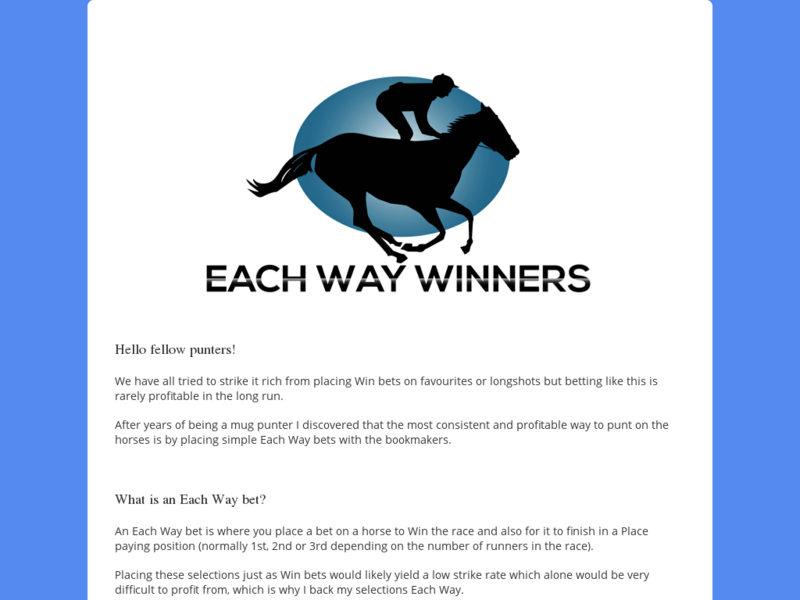 Promote Each Way Winners And Get 50% Commission On All Sales Generated. Recurring Monthly Sales At £12 Or Yearly Sales At £67. Full Affiliate And Customer Support Provided.